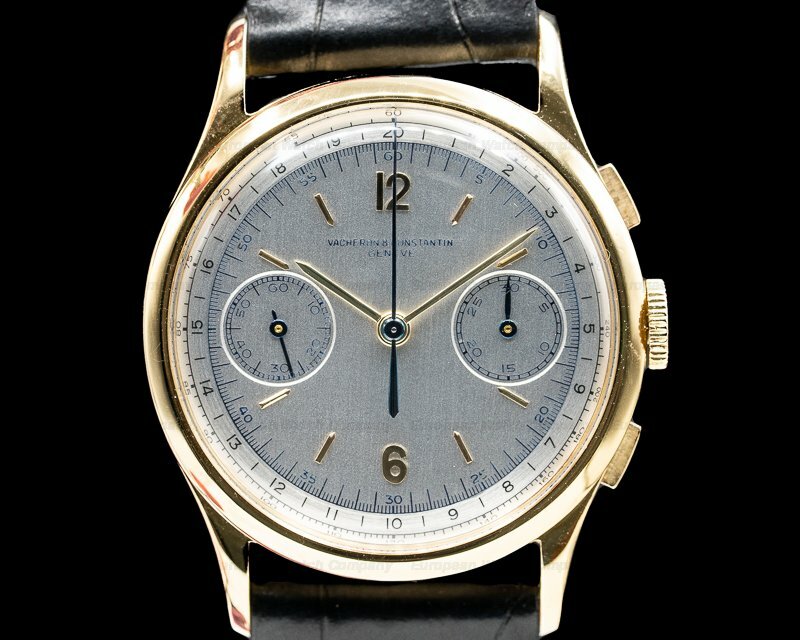 30284 A. Lange & Sohne 403.032 Datograph, 403032, 18k rose gold with an 18k rose gold buckle, manual wind, big date, chronograph with flyback function, small seconds between 7 and 9, silver dial with luminous hands, applied rose gold numerals and hour markers, sapphire crystal, water resistant to 3 atm, diameter: 39mm, thickness: 13mm, display back, like new with original box and papers dated June, 2015. 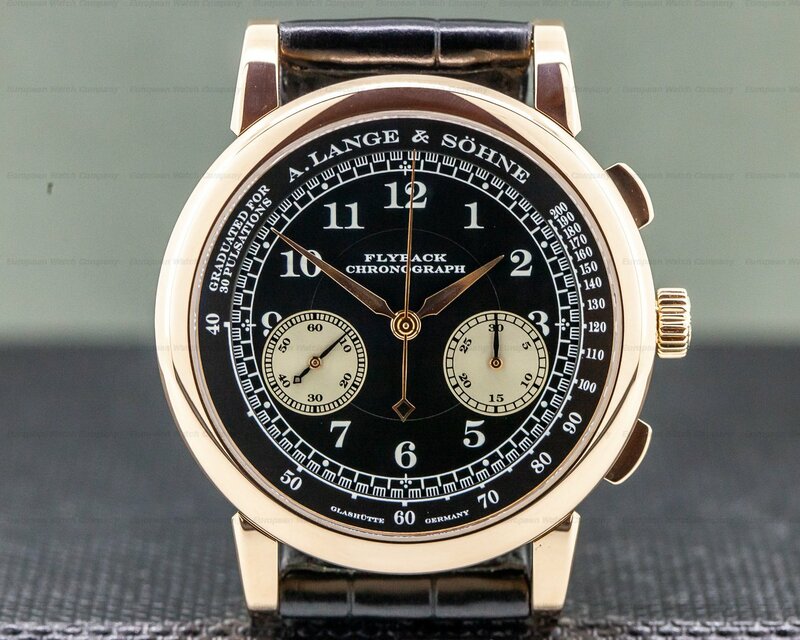 This is an 18K rose gold A. Lange & Sohne Datograph 403.032. It has a leather strap with a matching 18k rose gold buckle. 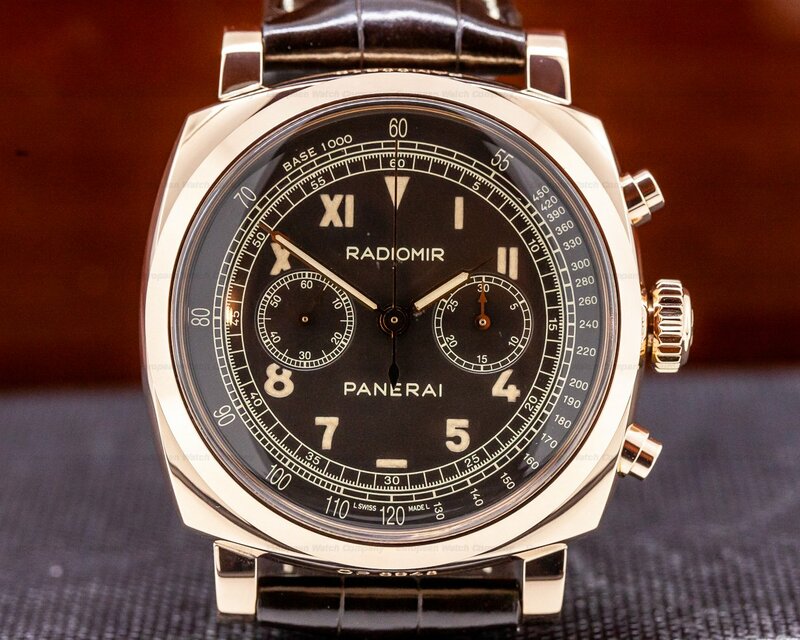 The solid, 39mm diameter three-body case, rounded bezel, and downturned lugs are polished. 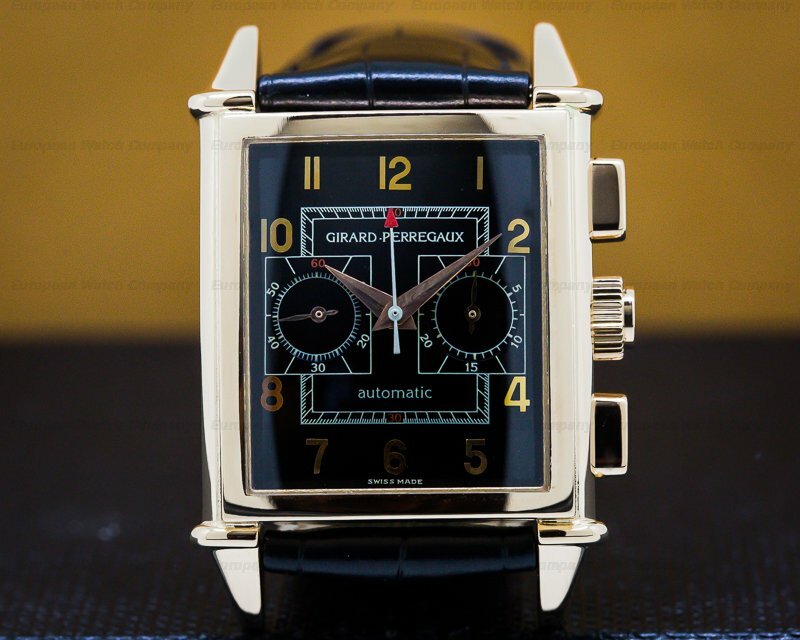 There are rectangular pushbuttons for the chronograph and flyback function at 2 and 4 o'clock. The dial is silver with rhodium-plated 18K gold hands with luminous inserts and applied 18K rose gold Roman numeral hour and baton markers. 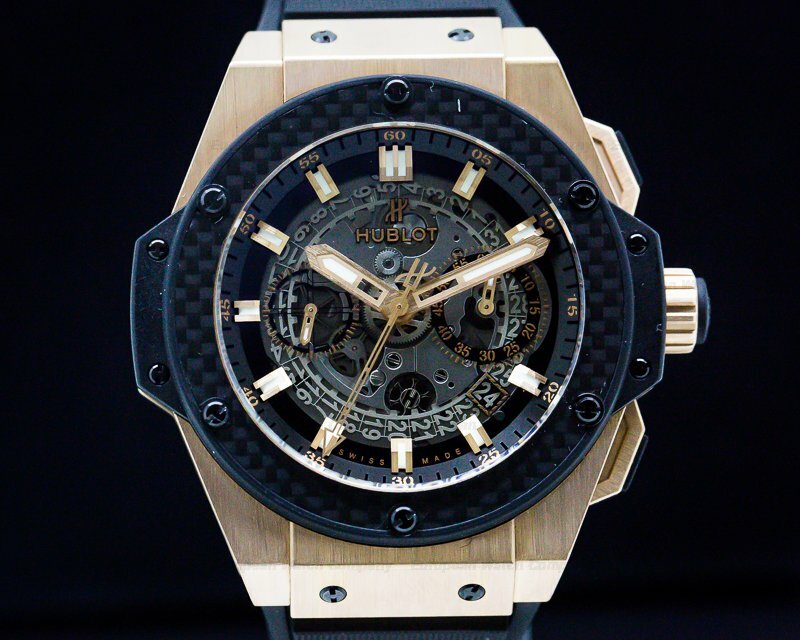 It has a scratch-resistant sapphire crystal, and it's water resistant to 30 meters (100 feet). It has a sapphire display case back that's secured with six screws, and a double window big date aperture is at 12 o'clock. 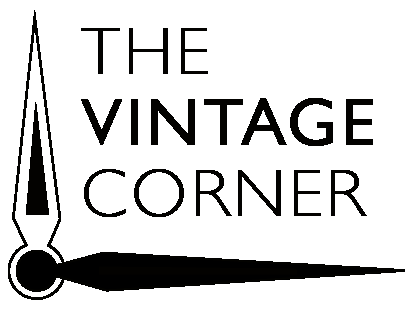 A subsidiary silver dial for the small seconds is between 7 and 9 o'clock, and an instantaneous 30-minute register is between 3 and 4 o'clock. There is an outer 1/5 second/minute track with an outermost graduated pulsometer track. 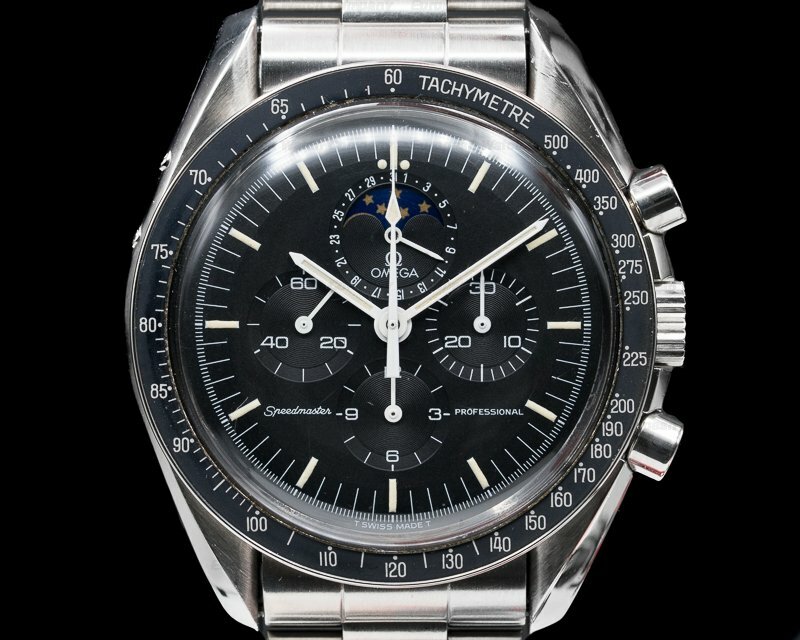 The precision flyback function of the chronograph instantly restarts the stopwatch to continuously time an event without needing to pause, reset, and restart. There's a quick correction plunger on the edge of the case at 10 o'clock, and the chronograph's minute hand makes 1-minute jumps for an enhanced accuracy in reading the timing function The 13mm thick case, dial, and movement are all signed. 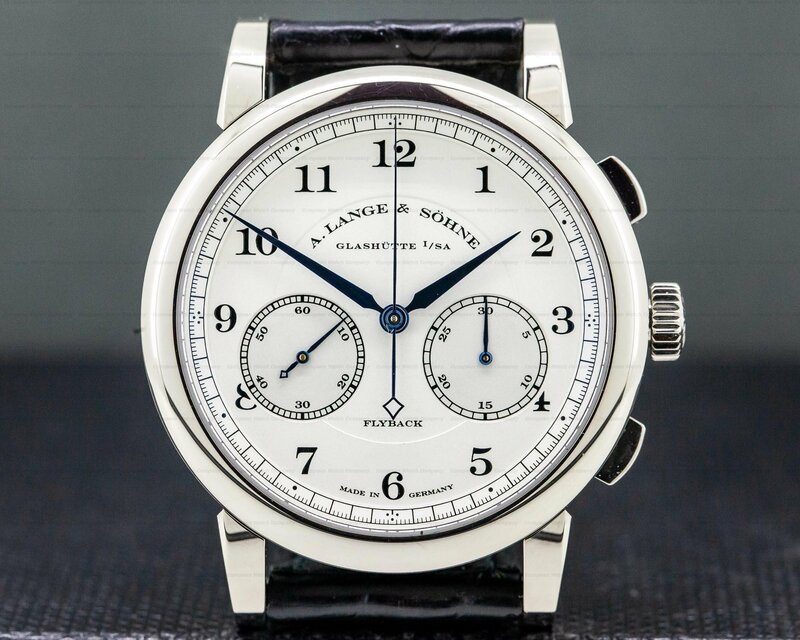 This A. Lange & Sohne Datograph 403.032 has a mechanical manual winding A. Lange & Sohne caliber L 951.1 movement that's made of Glashütte 3/4 plate, with fausses cotes embellishment. It's constructed with 40 jewels, 405 components, a shock absorber mechanism, and includes 4 in screw-mounted gold châtons. 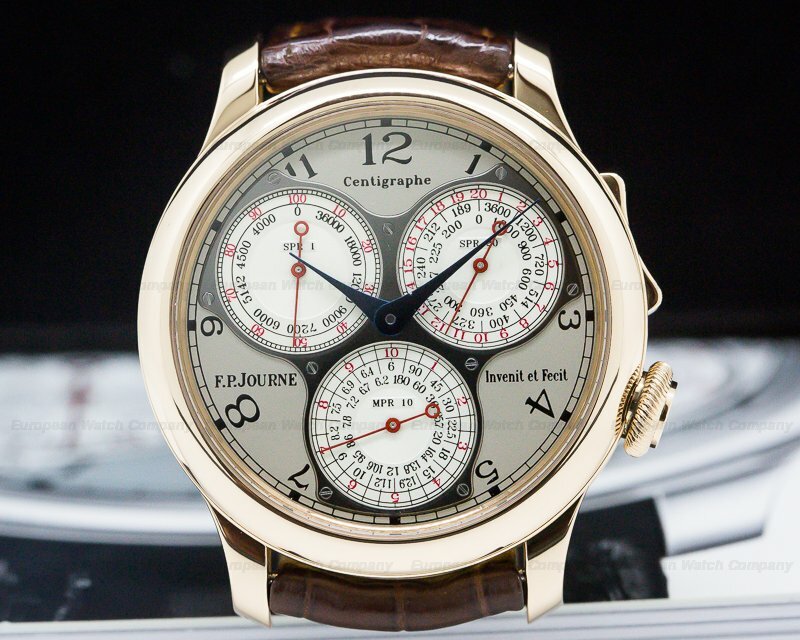 It has a straight-line lever escapement, a monometallic balance that's adjusted to 5 positions. There is a self-compensating Breguet balance spring, a swan-neck micrometer regulator, and a hand-engraved balance bridge. The movement oscillates at 18,000 vph. 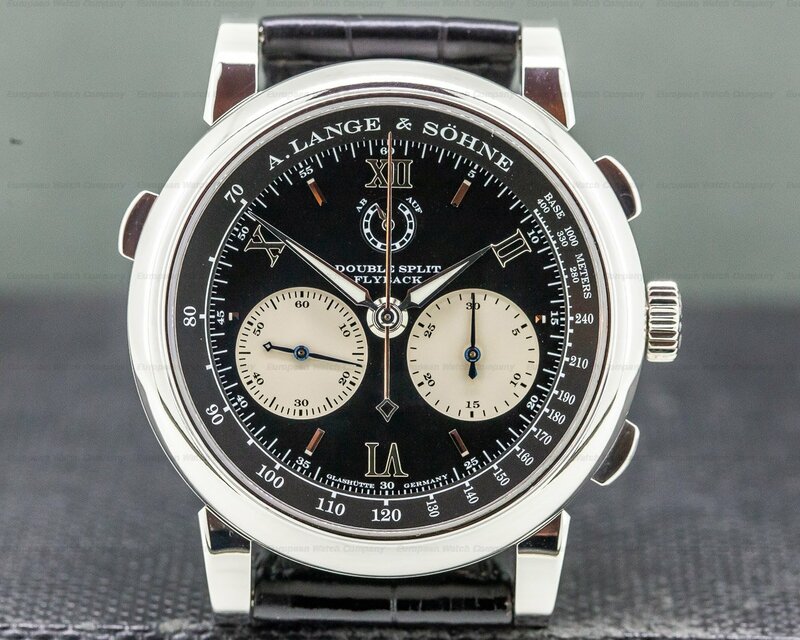 The A. Lange & Sohne Datograph 403.032 was introduced in 1999. The patented Lange variable position switch lever enables the minute counter to be adjusted without taking apart the whole movement. 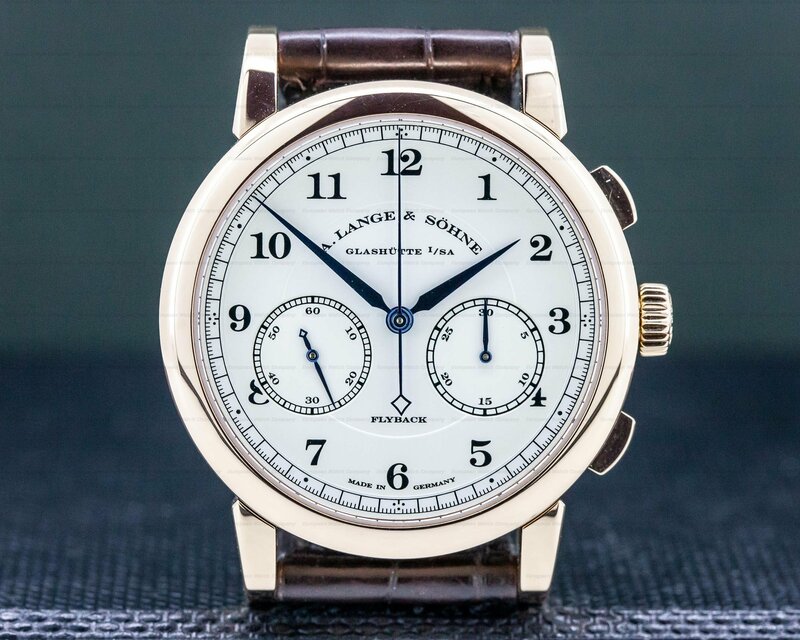 The double disc over-sized date is also a Lange patent.